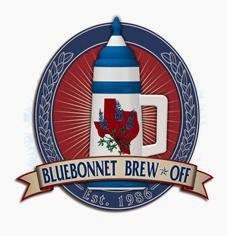 After having long been established as one of the largest homebrew competitions in the country, the Bluebonnet Brew-Off returns for its twenty-ninth year on March 20-21. For years, the Bluebonnet has staged their annual get-together at a local hotel. This year, however, the festivities will be held at the Irving Convention Center at Las Colinas. According to a press release, the move was made in response to the "recent growth of interest in homebrewing and local craft beer. The change in venue should allow many more visitors to enjoy the event, with greater participation from both local and national craft brewers, [as well as] beer-related vendors." Activities associated with the Bluebonnet include technical discussions, pub crawls, the ever-popular Commercial Beer Sampling and a keynote address by Justin Crossley of The Brewing Network. This all leads up to the Competition Awards Ceremony, which occurs on Saturday evening. In addition, this year the Rabbit Hole Brewing Company has been named the Official Brewery of the 2015 Bluebonnet Brew-Off. In honor of this recognition, the Justin-based brewery will brew and release a commercial batch of the beer named Best in Show. Tickets for the Friday night Commercial Beer Sampling and keynote speaker are $25, which includes a commemorative tasting glass and program. A full weekend ticket, which adds access to most things going on Saturday, may be purchased for $35. For more information, or to get your tickets, visit the official website at www.bluebonnetbrewoff.org. Attendees may also book accommodations for a special rate at the nearby Dallas Marriott Las Colinas. Rooms are available for $101/night, but you must make reservations by Wednesday, March 4. Click here for a link to the online reservations page.